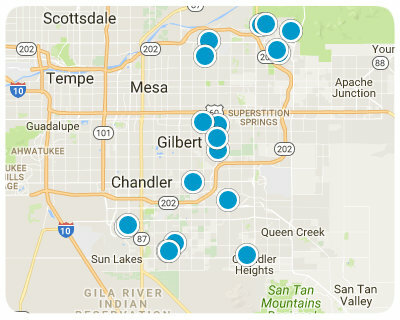 Below are ALL of the Homes for Sale near Higley Elementary School in Gilbert Arizona from our Realtor MLS UPDATED EVERY 5 Minutes! That means EVERY home from EVERY Real Estate Company that is currently for Sale. Lovingly maintained by original owner. Move in ready in the most popular area of Gilbert. Easy to show!